2016 Yamaha YZ450F Yamaha Blue, Call for Best Price! - Featuring a "reversed" rear slanted engine design for mass centralization, minimal bodywork and a proven KYB "SSS" suspension system, the YZ450F offers class-leading power in a 250 sized chassis. For 2016 the engine has been revised, we have added launch control for faster starts and added a larger front disc into the mix. The 2016 YZ450F balances the 3 essential elements of an ultimate motocrosser: easy cornering, lightweight and compactness and a deep, useable powerband. 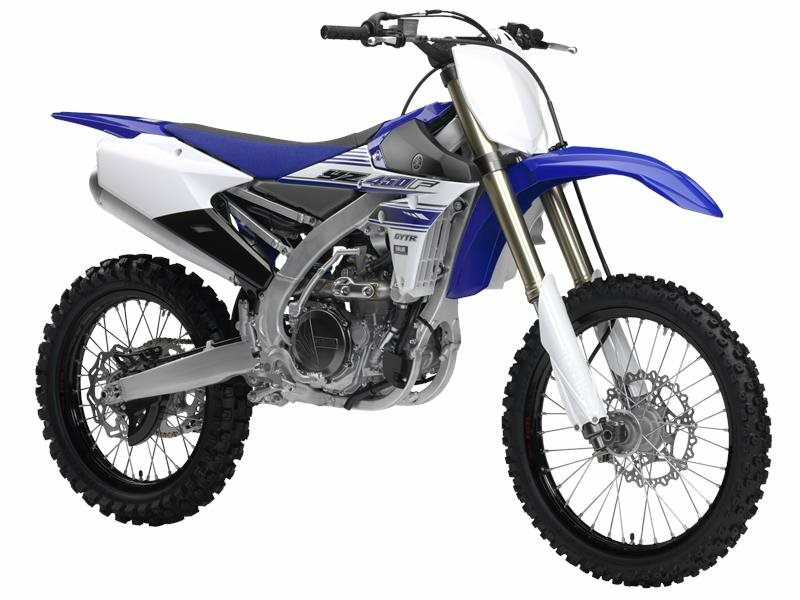 All Yamaha pictures are kind of Yamaha HD motorcycles picture was taken, including motor fuel gauge, engine, engine mounts, tires, fuel tank, the car handles, lights and so on, 2016 Yamaha YZ450F Yamaha Blue full-screen viewing,2016 Yamaha Motorcycles today Price: $8,590 .